—Anthony Kao, president of the Joe Six PAC super-PAC, talking with the American Prospect. He got the idea to create his super-PAC, which has raised $0 to date, after finding an article on Reddit about a Florida man who launched 60 of them. A new ad (which has yet to air on TV) from the pro-Obama super-PAC Priorities USA Action features a familiar face. Joe Soptic, who was laid off from a Missouri steel plant after it was sold to Bain Capital, appeared in an Obama campaign ad in May that blamed Mitt Romney for closing the plant. Soptic appeared in the Priorities ad wearing the same shirt (but no glasses) and insinuates that Romney is partly responsible for his wife’s death from cancer. Campaigns and super-PACs are prohibited from coordinating with each other, and both camps said they hadn’t. But after news that Soptic told his story to reporters during an Obama campaign conference call in May, an Obama spokeswoman walked back a claim that the campaign was unaware of Soptic’s story. 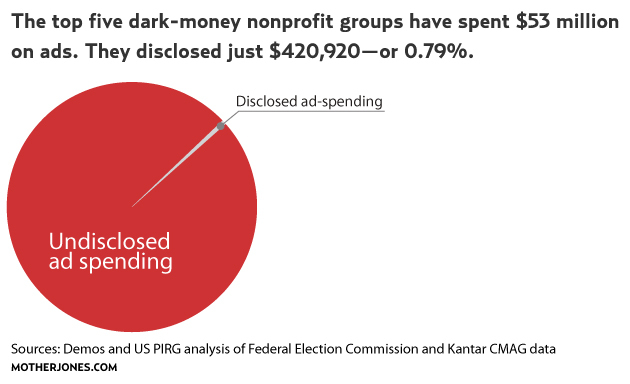 193 percent: How much spending by groups that don’t have to disclose their donors has increased in 2012 compared with the same time in 2010, according to the Center for Responsive Politics. • How Secret Foreign Money Could Infiltrate US Elections: Think the United States is immune from foreigners’ campaign cash? Think again. 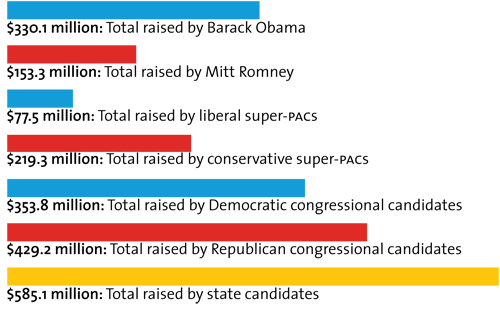 • 250 Years of Campaigns, Cash, and Corruption: From George Washington to Citizens United, a timeline of America’s history of political money games. • Dark Money’s Top Target: Claire McCaskill: Will Dems save the centrist Missouri senator from Karl Rove’s attack ad onslaught? Don’t hold your breath.